Hi, I'm Shelby Tutty, the founder of Double Up Books - The Premier Bookstore for Twins, Triplets & More... which can be viewed at www.DoubleUpBooks.com. It is the only bookstore specializing in books for and about twins and multiples for parents and children. We also sell general parenting titles, books about family and relationships, cookbooks, and children's books. We sell all of our books at a discount off of publisher's list price to help everyone save money. I love books! I've always been an active reader, so the first thing I did when I found out I was having twins was to try to find as many books that I could about being pregnant with and raising twins. I was really surprised that there wasn't one place where I could find these books. My local bookstores had two or three titles at the most and no children's books for twins. And this is in Massachusetts, the state with the most number of twins! I didn't have any luck searching online either. My searches usually pulled up books or websites about the Minnesota Twins instead of twin babies. I got very frustrated trying to find the right books and time was of the essence if I wanted to prepare myself ahead of the twins' arrival. After my twins were born in 2005, I thought about ways to make it easier for other soon-to-be moms and dads of multiples to find books and came up with the idea of opening my own bookstore. It combined the three passions in my life - my twins, my love for reading, and my background in business. The thing that I enjoy the most about owning a bookstore is knowing that the books that people order are going to help them be great parents of twins and multiples. Definitely for me, buying a book just gives me a great feeling...like the answers to the universe (or the very least the answers to my latest questions) are now in the palm of my hand and I like being a part of that for customers. 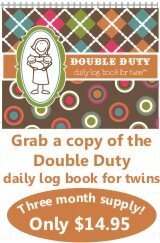 I'm running a special promotion for readers of the twin-pregnancy-and-beyond.com - Twin Stuff! newsletter. Buy 3 books, take 10% off your third book! Use coupon code TPAB until Feb 14, 2009 to take advantage of this offer. 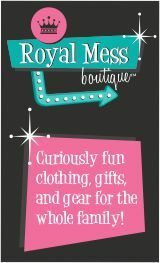 The 10% off with this coupon is on top of our regular discounts and we have over 250 books in-stock to choose from. I live in Massachusetts with my husband, Michael, and 3-year-old b/g twins, Alastair and Audrey. If you had told me 5 years ago that I was going to have twins, I would have laughed in disbelief! Although knowing what I know now, it shouldn't have been too much of a shock since I was 34 when my husband and I decided to start our family and, as I'm sure you know, being over age 30 increases your chances of having twins. Alastair and Audrey are at a great age now where things are a lot easier - even seemingly simple things like getting out of the house is easier. They are best friends and I've tried to encourage that before I introduced other children into their lives, but they aren't the type of twins that constantly have to be together. They certainly like their own space and their own time with mom and dad. I try to have them identify that they are twins to understand their unique bond, but I treat them as individuals. Unfortunately, I don't have a lot of help from family. I lost my mother to cancer shortly after my twins were born, but my husband and I equally run the household. I really couldn't be the type of mother that I want to be and manage everything without his help with the domestic and parental responsibilities. He does everything... the dishes, the laundry, the cooking, and cleaning up. And, the kids can get wild and crazy with him where I am much more of the "stay on schedule" type. It's a good balance for them. The biggest challenge I have with the twins right now is that Alastair really looks up to Audrey and tries to be like her in every way. He copies everything that she does. I'm not sure what the best way is to handle this; I certainly don't want him to lose himself while he is trying to be like Audrey. If you have any suggestions, I'd love to hear them. Having twins is such a special and unique experience. My advice would be to get advice from other moms and dads of multiples instead of getting general parenting advice. If you don't know any other people with twins, of course books are a great place to start. There are so many now that are available that cover any topic relating to twins from twin pregnancy all the way through school age and adult years. If you are currently pregnant with twins, another piece of advice is to read up about twins and babies as much as you can now because once they come along, it can be challenging to find a moment to yourself in the beginning. I think that having twins is a great gift. Sure, it can get hectic and overwhelming at times (and with noise levels that are out of this world! ), but I'm so very grateful that I have them and wouldn't want it any other way. In the beginning, it's all about laughing at yourself (when things don't go as planned), but as they grow up that turns into laughing with them as a family. Finally, know that it's okay to go at your own pace. I find it best to not compare myself to singleton friends or try to keep up with them. It's hard to "turn on a dime" when you have multiples; I take everything at my own pace and the pace that's best for my twins. I can be personally contacted at: shelbyt@doubleupbooks.com or via the main email address: info@doubleupbooks.com. Our phone number is 1-888-574-0355 and our mailing address is 800 Main Street #187, Holden, MA 01520. I look forward to chatting with anyone about our books or to answer any questions. I wish everyone a happy and healthy holiday season. Join our fun Social Network for Parents of TWINS!